For the company B.L. 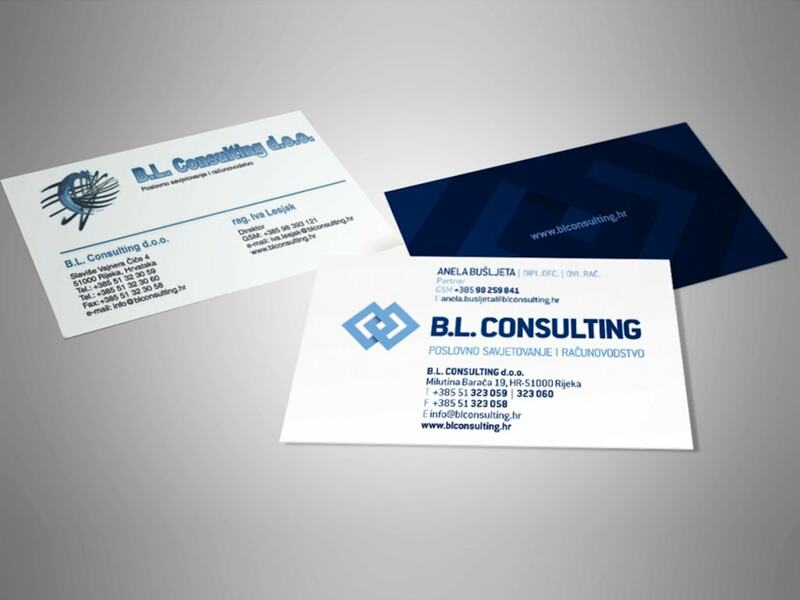 Consulting, which specializes in business consulting and accounting we did a rebranding. After nine years on the market, it was time for a new visual identity that would accurately present them as a stable, reliable and respectable company. 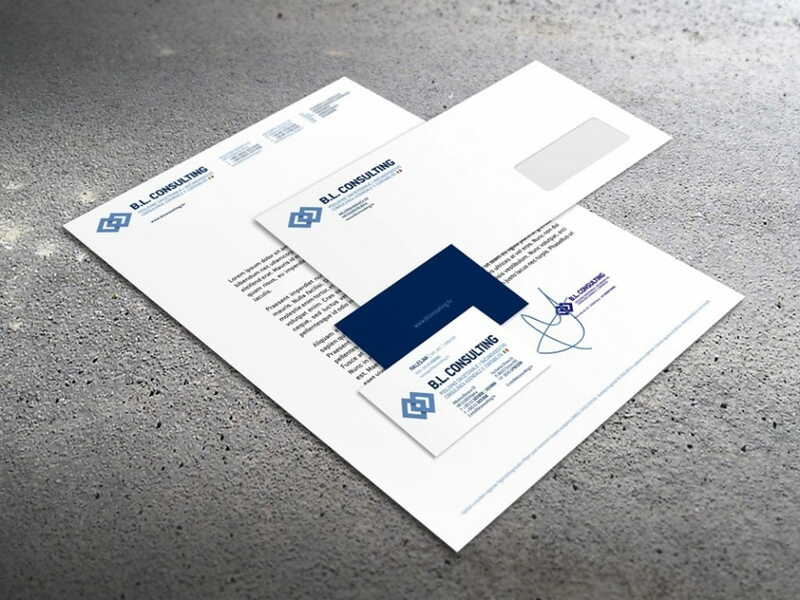 The trademark of the company is formed from two connected squares that have multiple symbolism – the indissoluble bond between business consulting and accounting, a partnership between the company and their clients, and finally the link between the main two partners as the foundation of the company. The logo is written in capital letters in order to portray compactness, strength and durability. Home colors are dark blue, which represents strength, stability and professionalism and light blue which represents the human face of the company, accessibility and transparency.